Listening to him, it occurred to me that thinking of God beyond the familiar male imagery was gradually seeping into the imaginations of everyday people. Not long ago, serious discussions about God and gender took place almost entirely in feminist religious circles and theological seminaries. Maybe more people are becoming open to such ideas because of books like The Shack, or the writings and media appearances of popular writers like Anne Lamott who frequently speaks of God as “She,” or Bobby McFerrin’s use of female pronouns in singing the 23rd Psalm, or simply the wider social world the Internet has opened up. Even so, such receptivity to inclusive language and female imagery for the Deity is still the exception, whether among the general public or in houses of worship. We’re far more likely to hear someone on TV talking about “the Man upstairs” than we are to hear a prayer that begins. “our Loving Mother God,” in a Sunday service. In some circles, shock and a kind of emotional vertigo— or even anger and charges of heresy— arise at the thought that God could be referred to in female terms. This is where Dr. Jann Aldredge-Clanton steps in to calm fears, enlarge our vision, and show the richness of expanding the way we think, sing, and speak about the Divine. Her latest book, She Lives! (the exclamation point is part of the title), helps us move beyond the limited gender binary to see God as both male and female, yet strictly speaking, neither male nor female, and at the same time inclusive of all gender identities. Jann’s ministries include enlarging our vision by writing new words to hymn tunes and by telling us stories of real people who are traveling a journey much like her own, one in which she has experienced “the sacredness of all and of the dynamic nature of this Divinity—ever living, ever moving, ever growing” (p. x). To tell these stories, Jann has been interviewing a diverse group of people in recent years and writing profiles of them, first for her previous book, Changing Church, and others of them for her weekly blog. Forty profiles, drawn from all of these interviews, are included in this new book. Among the profiled women and men are nine members of EEWC-Christian Feminism Today: Kendra Weddle, Mark Mattison, Melanie Springer Mock, Mary E. Hunt, Gail Anderson Ricciuti, Rebecca Kiser, Judith Liro, Marg Herder (now Lē Weaver), and Virginia Ramey Mollenkott. Poems and a sermon excerpt written by another member, Shawna R. B. Atteberry, are also included. Jann Aldredge-Clanton herself is a member and serves on the EEWC-CFT Executive Council. Twelve of the forty persons profiled here were also included in Changing Church. 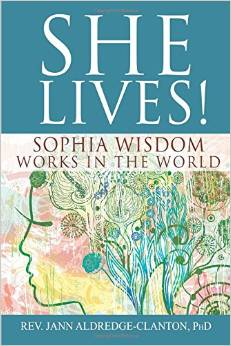 Jann explains that the subtitle of She Lives!, “Sophia Wisdom Works in the World,” refers to one of her favorite female names for the Deity—Wisdom. “Wisdom is Hokmah in the Hebrew Bible and Sophia in the Greek language of the Christian Scriptures,” she says. “I continually see Wisdom working in our world and the great need for more of Her works” (p.x). She has organized the sections of her book around eleven of these “works of Wisdom,” with each person’s story placed in the category where Jann felt it would fit best. With so many outstanding spiritual leaders profiled in the chapters that comprise each section, I found it difficult to choose just a few representative stories. They are all so interesting, and I don’t want to leave anyone out! In some ways, this is many books in one. So I’ve decided to extract a central idea from each of the forty persons profiled to give you a tiny sample from each (and hopefully to entice you to read the book). Think of each section of the book—each “work of Wisdom”—as a mini-conference where you are hearing several outstanding speakers talk about a specific theme. Or imagine eleven tables set up in a large room, each with a group of wonderful people conversing about an interesting topic and inviting you to pull up a chair and join in. Jann begins by telling us about Lutheran pastor Lori Eickmann. Lori felt called to teach about female imagery for God with a special emphasis on the biblical basis for this approach. She developed elective classes for every congregation in which she has served as “intentional interim pastor” (a specially trained category of ministry). One man told her, “When I first heard about this, I thought it was going to be a bunch of hooey—but now you’ve shown that this is in the Bible!” A woman in her eighth or ninth decade marveled at learning these new things so late in life. I think Jann wisely chose Lori’s profile as her opening chapter because it demonstrates the scriptural basis for both gender equality and inclusive language and imagery for God. This can be reassuring for anxious readers who have been warned by patriarchal conservatives that they may be stepping into dangerous doctrinal territory by considering either one of these ideas— and certainly both! In the second section of She Lives!, Jann points out that “multicultural images of the Divine contribute to racial equality by affirming the equal value of people of all races and ethnicities.” She shows how seminary professor Rev. Dr. Grace Ji-Sun Kim draws upon her South Korean background, pointing out that Korean women who have immigrated to North America are torn between two cultures and are subordinated by both Korean cultural traditions and the teachings of their churches in their new country. Grace believes Sophia Christology offers liberation and healing from racism, sexism, and classism. Rev. Christine A. Smith, as an African American female pastor, knows firsthand what it is to face both racial and gender challenges. She urges the creation of multicultural churches and believes ministering to diverse people also requires gender equality in the pulpit. We hear the voice of Rev. Virginia Marie Rincon, an Episcopal priest who founded and directs Tengo Voz (which means “I have a voice”) and who works to empower Latina women to find and use their voice. College professor Melanie Springer Mock, as the mother of two Asian American children, says “they haven’t really encountered many images of God that look like them, and this makes me sad.” She says that we need concrete ways of helping us learn that all of us are made in God’s image, and “gender-inclusive leadership, language, and theology“ are important parts of that learning. Patrick Michaels, a composer and minister of music, says that not only do people of all ages benefit from hymnody that is gender inclusive, while also incorporating multifaith and multicultural language and imagery, but that children are especially responsive to expansive language for God. Introducing her book’s third section categorizing Wisdom’s Works, Jann points out that “male-dominated worship language and imagery contribute to heterosexism and sexism by exalting the traditional ‘masculine’ and devaluing any traits that have been traditionally labeled ‘feminine.’” The section starts with an account of Rev. Dr. Nancy Petty’s unusual way of challenging unjust marriage laws (you’ll be surprised at how she does it —and with congregational approval) and tells of her other courageous stands on social justice issues as well. The next person profiled, Rev, Dr. Susan Newman, as part of her social activism, helped bring about Marriage Equality in Washington, D.C. Rev. Paul Smith admonishes us to “let the Divine out of the male prison.” For him, all justice issues are related to our image of the Divine, including valuing “all people, wherever they are on the scale from homosexual to heterosexual.” Dr. Caryn Riswold, a professor of religion and gender and women’s studies, says she speaks out to inform the world that the religious right-wing definitely does not represent all Christians in their views on political and justice issues. Rev. Stacy Boorn emphasizes the strong interconnectedness between feminism and the gospel in their mutual emphasis on equality and justice in all areas of life. In Part 4 of her book, Jann highlights not only the world’s inequality but also the disproportionate degree to which women especially experience economic injustice and oppression. She points out that certain symbols and male terminology for God support ideas of classism and kyriarchy (rule by lords and masters). Seminary professor Rev. Dr. Isabel Docampo, the daughter of first-generation immigrants from Cuba, identifies with families struggling to make a living, having grown up among them. She sees work for economic justice as a crucial part of God’s calling, and female imagery for God has given her strength to heed that calling. Jann’s chapter profiling Roman Catholic feminist theologian Dr. Mary E. Hunt is rich and insightful, highlighting Mary’s views on justice, the church, taking risks, and developing theology that begins with the marginalized. See what gives Mary her courage and inspiration. And read her imaginative creation story, “God Laughing Out Loud,” picturing God’s delight in our joy. Rev. Dr. Gail Anderson Ricciuti, an ordained Presbyterian minister and divinity school professor, says she tries to stretch the “boundaries of biblical and theological assumptions” held by her students. That “stretching” includes challenging them to think of as many names for God as possible as a way of expanding their images of the Divine. Gail is determined to keep justice issues alive, and to “make clear how the ‘ism’ injustices are interrelated: one pulled thread unravels other rights as well.” Rev. Dr. Cheryl F. Dudley wants us to be aware of what she calls our “default settings,” a tendency to expect and fall back on what is familiar and habitual. She’d like churches to recognize that “the best pastor for a given church may not be male, or the same race, or from the same socioeconomic background as once was customary for a congregation.” She urges us to be open to God’s surprises. Jann Aldredge-Clanton introduces Part 6 with scripture that reminds us that Wisdom’s ways are pleasantness and “all her paths are peace.” Rev. Judith Liro’s chapter expands on that message. “For me, feminism is about a healthy balance of feminine and masculine,” she says, “and is not anti-male.” She sees inclusive language and liturgy as countering the patriarchal system that is behind wars, economic exploitation, and other evils associated with violence. Next, in introducing readers to the personality and creative work of writer-musician Marg Herder (now known as Lē Weaver), Jann describes how Lē “illuminates a spirituality of love and nonviolence, a spirituality that all people can share as equals.” She says Lē’s use of female terminology for the Divine in her songs and writings reinforces the message that all people are created in God’s image. We next meet Rev. Dr. Monica Coleman, a theology professor who founded the Dinah project, a program that assists churches in providing healing responses to sexual violence. Dr. Coleman’s vision for this ministry grew out of her own faith struggles after having been raped while a divinity school student. Dr. Virginia Ramey Mollenkott, author and retired university professor, talks about changes that gender-diverse language can make in churches. “In the few places where diverse God-language is used regularly,” she says, “women and transgender people are empowered to become more active leaders, and men are empowered to express their emotions and act on their generous desires to serve others. So everything looks and feels more Christlike.” Jann introduces us to Rev. Marcia C. Fleischman, author of Wild Woman Theology: In the Arms of Loving Mother God, which depicts Mother God as “a robust African American woman, holding the world in her hands and wearing a lime green T-shirt with infinity signs on it.” Marcia believes imagining God as “Holy Mama” could draw Her children together and bring peace and healing in the world. In introducing Part 8, Jann urges us to recognize the call of Wisdom for “people of diverse religious and spiritual traditions to work together for justice and peace.” Dr. Chung Hyun Kyung, who grew up in Korea, finds bridges between Christianity and religious traditions of Asia and tells how the “rise of the Divine Feminine” relates to movements centered around ecology, peace, economic justice, and anti-imperialism. Lana Dalberg, author of Birthing God: Women’s Experience of the Divine, tells of her own journey and her perceived need for the new perspectives that can come from direct interaction with women from different faiths and cultural backgrounds. “Multicultural images of the Divine Feminine are vital,” she says. Writer Jeanette Blonigen Clancy asserts that “exclusively male God-talk diminishes God.” She explains that “if we talk about the highest value imaginable with exclusively male terms, we give males the right to act as lords over females—exactly what we experience around the world.” Her chapter is entitled “Cherishing Christianity without Its Exclusive Claims.” Part 8 closes with a chapter on Church music director Orion Pitts, who talks about his Lutheran congregation’s emphasis on interfaith collaboration, including inviting guest speakers from different faiths. He also introduces worship music from different religious traditions, and has even compiled a “Global Mass,” incorporating Buddhist, Sufi, Jewish, and Native American resources. In “Wisdom’s Works of Creative Worship” (Part 10) and “Wisdom’s Works of Feminist Emancipatory Faith Communities” (Part 11), Jann has provided useful, creative liturgical resources, some written by people profiled in the book and some from others; and she also lists feminist faith communities in various locales, along with descriptions and contact information to help you find other people and groups that value diversity, equality, inclusiveness, and an expansive view of the Divine. After the short Epilogue and End Notes, you’ll also find “Additional Inclusive Worship Resources,” including books and online resources. I realize that by providing such an extensive overview, I’m risking the possibility that some readers will conclude there’s now no need to read the book for themselves. But that would be like deciding to skip a movie because you’ve seen the trailer and thus assume you already know everything about it! Each of the forty persons profiled here has so much to share through Jann’s telling of their lives, works, and words that the best I could do was offer a tiny glimpse or central idea from each one, hoping you’ll then want to read that person’s chapter in its entirety. One thing I liked especially about this book is Jann’s awareness that although it’s important to expand our image of the Divine, there is no strict orthodoxy about exactly what that entails. There is no insistence that our journeys be the same in how we come to embrace and express the vision of a “gender-full God”— no strict rules or imposed uniformity. In the book’s introduction, Jann points out variations in the approaches represented among the persons she has profiled. Some like to use the word “Godde” as a combination of God and Goddess to show the Divine is beyond the gender binary; others might chose some other combination (an example would be Rosemary Ruether’s introduction of the word “God/ess” in some of her writings). At least two of those Jann interviewed had no problem with simply using the word “Goddess” as another name for the Divine. Jann points out that some people “favor abstract over anthropomorphic names for Deity and suggest genderless designations like ‘Friend,’ ‘Spirit,’ and ‘Force.’” For some, this may serve as a first step in moving away from exclusively male terminology for God, even if they don’t feel comfortable using female pronouns. Others believe such a gender neutral approach doesn’t go far enough. I am glad that Jann has included this discussion, because we humans can so easily convince ourselves there is only one right way to view or express something— and that “right way” can too often be defined as “the way I see it (or speak it),” thereby stifling others’ expressions of their views. I’ve not seen such a succinct discussion on the variations in inclusive language for God in quite this way elsewhere, and I commend Jann for including it in this book. On this overall topic, I think there are a few pitfalls we may need to be aware of and avoid. For example, those of us who feel excited and enriched through expanding our concept of the Divine to include female imagery, names, and language must take care not to look down on those who have not embraced this view at this point in their lives. It’s important not to regard ourselves as more advanced and more “spiritual” than they. Rather, we need to show patience, love, empathy, and respect for the place where individuals are at a given time in their personal spiritual journeys and, from that starting point, we can gradually guide and encourage them to consider new ways of thinking. We may need to reassure them that this new (to them) way of thinking is not a replacement of the God they have known and loved but an expansion of our knowledge of the Holy One, who is, after all, beyond human understanding. Less familiar biblical names for the Deity, such as Sophia or Ruah, do not mean “new gods”! A considerable number of those who shared their stories with Jann spoke of the resistance they have encountered in introducing female names and imagery for God to their congregations or to other people in different contexts. It would be so tempting to assume that all who resist such ideas are simply close-minded and bound to the patriarchal status quo. No doubt many are—possibly persuaded that the whole idea of including female imagery for the Divine is unbiblical, heretical, and even some sort of “feminist plot” to undermine God’s revelation. But others, I believe, are resistant (at least in the beginning) simply because they come from conservative traditions and are even finding it new and strange to learn that the Bible supports gender equality. They may still be trying to grasp the full significance of knowing that girls, boys, women, and men, and all in between are equally made in the divine image. While still wrapping their mind around those ideas, they may not be ready immediately to see the need for a balance of female and male imagery in speaking of God and that otherwise we don’t see a complete picture. (Many of those Jann writes about took care to specifically emphasize that need for balance as the basis for expanding our concept of God.) 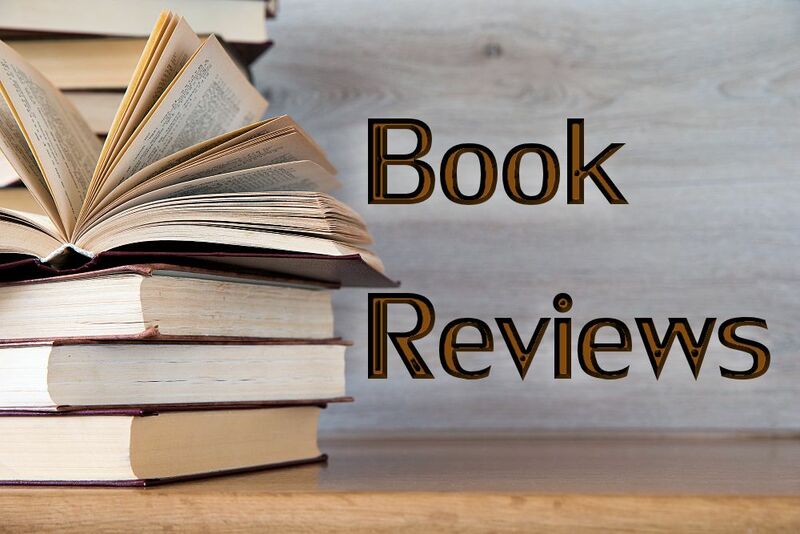 Jann gently illustrates that point in her hymnwriting, as well as in these stories of real people telling how they worked out these concepts in their own lives and in their various ways of ministering to others. Reading about their journeys can help those who are just starting out on their own journeys. If you belong to a book club or study group, She Lives! Sophia Wisdom Works in the World would be an excellent selection. Or just enjoy reading it on your own. In any case, I hope you’ll seriously consider purchasing this book. You’ll be glad you did. And after you’ve read it, place it on your bookshelf alongside Elizabeth A. Johnson’s classic She Who Is and Virginia Ramey Mollenkott’s The Divine Feminine. They’ll all fit together well.